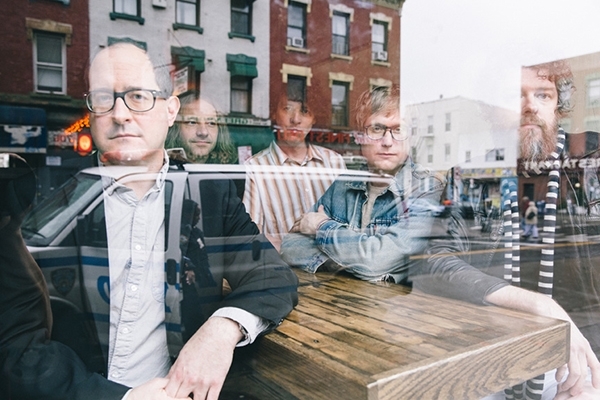 The Hold Steady are set to release their new album, Teeth Dreams, on March 25. Last night, the promotion cycle brought them to the studio of Late Night With Seth Meyers, where they performed their latest single, “Spinners.” From frontman Craig Finn’s trademark vocals to a ripping guitar solo from the band’s most recent addition, Steve Selvidge, the quintet sound spot-on in the video, which you can check out after the break. Teeth Dreams is the sixth full-length in The Hold Steady’s discography, and you can pre-order a copy right here. The band also have a slew of tour dates planned for the spring. They’ll be hitting the eastern half of the United States in March and the UK in April before making two appearances at Montreal’s Pouzza Fest in late May. Check out the full list of dates and ticket links on the band’s website.